July 4, 2017 - Experts have recreated the face of a Peruvian noblewoman who lived and died around A.D. 400. Using the latest forensic technology, they scanned the mummified remains of the Señora of Cao, who belonged to the pre-Inca Moche culture. 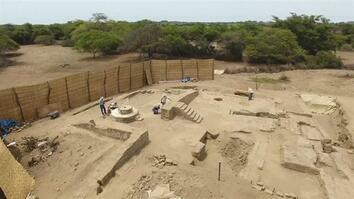 The grave of the Señora was discovered in 2005 at a site in El Brujo on the north coast of Peru. 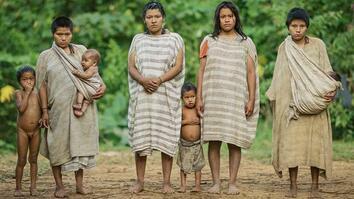 Since then, she has become a symbol of Peruvian womanhood and indigenous cultural identity. Read "CSI Tools Bring a Mummy's Face to Life"
Experts have recreated the face of a Peruvian noblewoman who lived and died around A.D. 400. Using the latest forensic technology, they scanned the woman’s mummified remains to create this lifelike image. Known as the Señora of Cao, the mummy is currently displayed in a museum in El Brujo on the north coast of Peru. Museum curators reconstructed her face and made a replica of her body … to make sure there was a permanent record of her remains. Experts took pictures of the mummy using state-of-the-art, handheld laser scanners. They isolated a 3-D image of her skull (?) with special software. Then, they recreated facial muscles and features using the same science and processes used in criminal investigations. The Señora was an aristocrat from the Moche culture … that flourished in Peru a thousand years before the Inca. 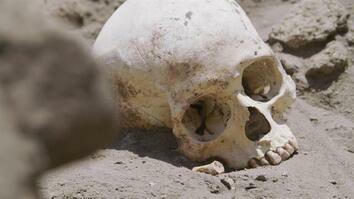 Her body was discovered in 2005 at a site in El Brujo. Believed to be in her mid- to late 20s when she died … the Señora had tattoos of snakes and spiders. Since her discovery, the Señora has become a symbol of Peruvian womanhood and indigenous cultural identity. 3,500-Year-Old Egyptian Tomb Explored: What Was Inside?